Wyndham Park in Grantham will host a commemoration of World War One through a Living History event to bring to life the memory of those who served and gave their lives in the conflict. 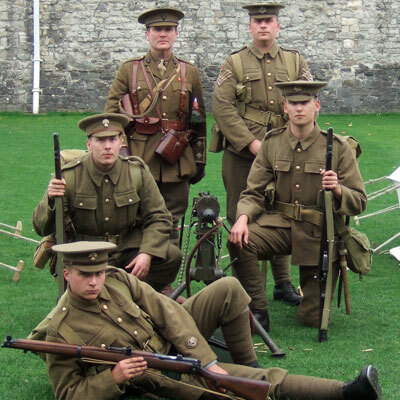 Infantry tents, military and historical equipment and demonstrations of weapon firing and kit will feature in exhibits provided by The Great War Society at the event on August 20 and 21. Co-ordinated by Wyndham Park Forum and SKDC, it will see an officer’s ridge tent, infantry bell tents, a field kitchen and hospital tent set up in the park grounds as it would have appeared behind-the-lines on the Western Front or at a domestic British base. The Machine Gun Corp Old Comrades Association will attend on both days and will answer enquiries on war memorabilia and from those wishing to trace ancestors in the regiment. 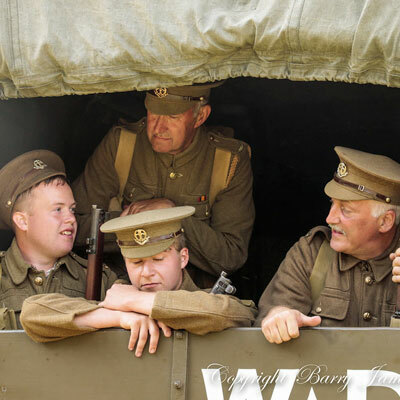 A craft fair, display from Grantham Light Armoured Division Radio Control Tank Club, tea tent serving afternoon teas and a Wyndham Park Forum history display, hosting children's trails, quizzes and activities also are set to feature. This will also include the Grantham Remembers group. SKDC’s Executive Member for Culture Cllr Linda Wootton said: “The activities will be aimed at commemorating and perpetuating the memory of the various sacrifices of the men and women who served in the Great War. A full programme of events is shown on this POSTER.